Today, a bunch of new recordings came out. For instance, Ben Folds Five's album The Sound of the Life of the Mind, a reunion album coming about twelve years after the band split up in 2000. Slate had a piece about the recording (in the series called "Where to Start with..."). I frankly disagree with the writer--she thinks Folds writes solely from his own life, whereas I think he writes in the tradition of Robert Browning in the dramatic monologue. However, pay no attention to any of that. I am hoping for awesome piano chops and superb pop melodies, which I believe is eminently possible. Also, Brad Mehldau has a recording of covers, Where do you start? I have pretty much never heard a Mehldau track that I didn't love or at least respect. So I am really looking forward to this. On Saturday, I listened to a recording from 2010, Highway Rider, while I was driving to and from the mall, and it was so beautiful. Bonus: it has Joshua Redman. And there is another recording from earlier in the year, Ode, that I also need to acquire. There's a lot of Mehldau to listen to right now. 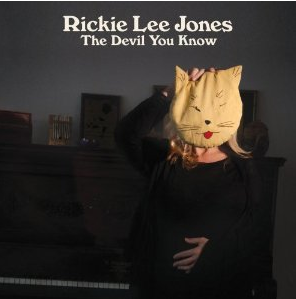 Rickie Lee Jones, one of my all-time favorites, released a new recording today, also an album of covers, called The Devil You Know. Who loves cover albums? I know I do. And there are a lot of good songs on here--"Reason to Believe," "Sympathy for the Devil," and "Only Love Can Break Your Heart." Also: new Killers, and Band of Horses, and Grizzly Bear, and there's also the new Dylan and the new Springsteen (read this). I've got some listening to do. Wait, Ricky Lee Jones AND Ben Folds Five? Definitely some listening to do.